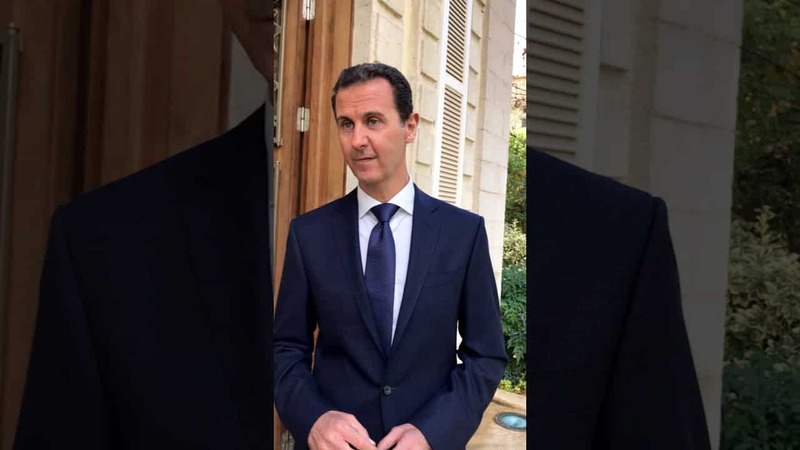 I traveled throughout Damascus and Aleppo, listening to Syrians from different parts of the country…Their message to the American people was powerful and consistent: There is no difference between “moderate” rebels and al-Qaeda (al-Nusra) or ISIS — they are all the same. This is a war between terrorists under the command of groups like ISIS and al-Qaeda and the Syrian government. They cry out for the U.S. and other countries to stop supporting those who are destroying Syria and her people. 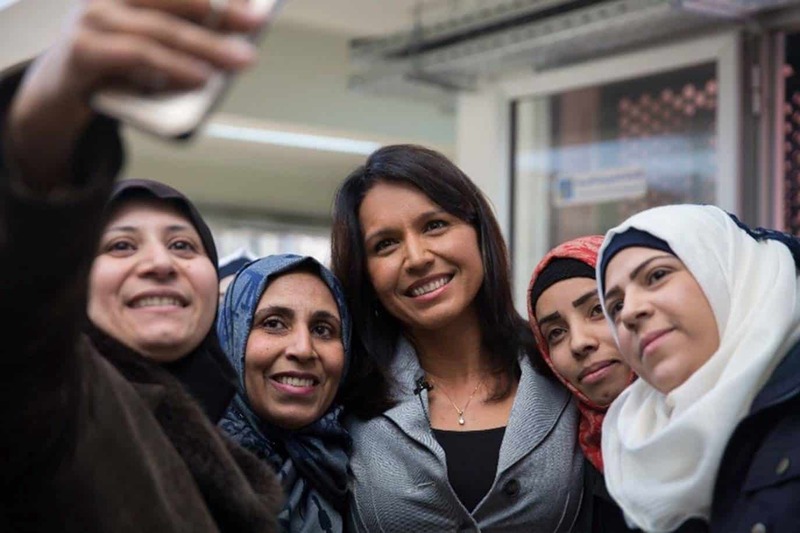 Below: Videos with Tulsi presenting her case against US/NATO meddling in Syria. 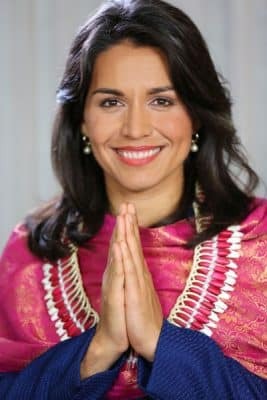 Note (in the case of CNN) the repeated efforts by the anchor to pollute Tulsi’s truth narrative with reference to the US State Dept. talking points and accusations of moral imbeciles like Adam Kinzinger, happily trotted out by war propaganda shills like CNN, CBS, the Washington Post, the New York Times and the rest of the complicit mainstream media. And here, forced to debate the obvious, with moral idiots like Adam Kinzinger (R-IL).